When a suspect voluntarily admits to killing a reality show celebrity chef in his own restaurant, Danny and Baez are convinced the suspect is taking the fall for someone. Also, Frank faces a moral dilemma when a longtime friend, Sen. Ted McCreary, asks for Frank's help to make a DUI go away, and investigative journalist Anne Farrell returns, on BLUE BLOODS, Friday, April 10 (10:00-11:00 PM, ET/PT) on the CBS Television Network. Peter Coyote guest stars as the Senator. 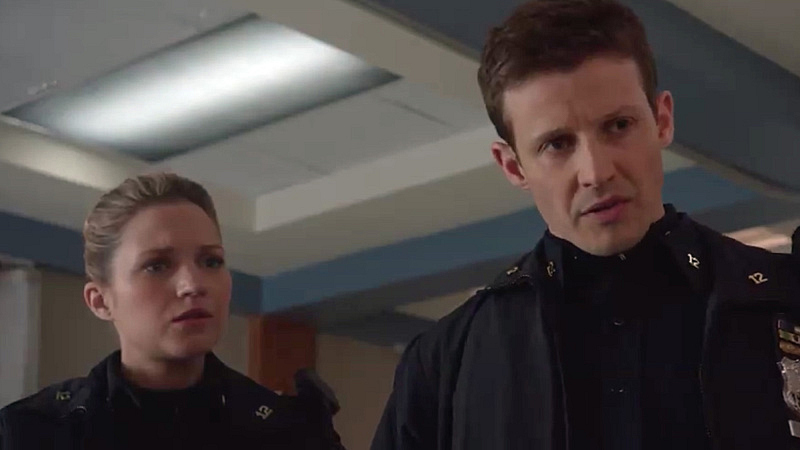 Pictured: Vanessa Ray as Eddie Janko, Will Estes as Jamie Reagan. Photo: CBS ©2014 CBS Broadcasting Inc. All Rights Reserved.